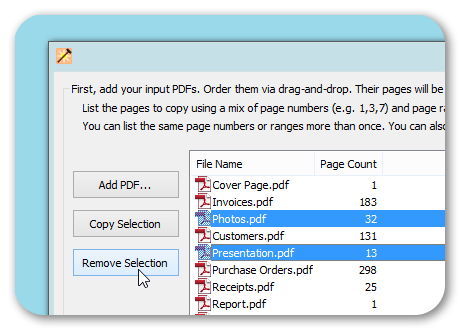 PDFtk Pro is a friendly GUI tool for working with PDF documents. 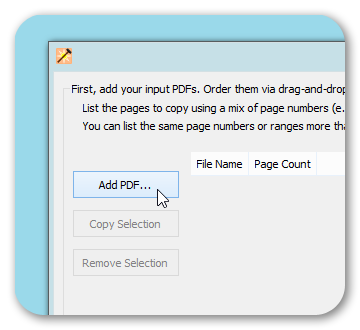 Use it to easily merge, split, rotate, watermark, stamp or secure your PDFs. This guide shows you how to use its various features. You can referene pages in reverse order by putting an r in front of a page number. 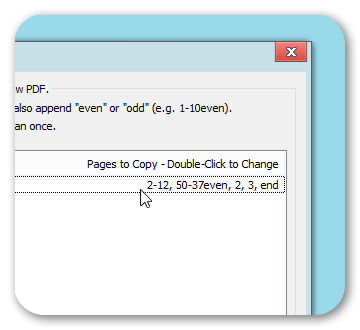 For example, r1 is the last page of the PDF, r2 is the page before r1, etc. The range r3-r1 is the last three pages of a PDF. 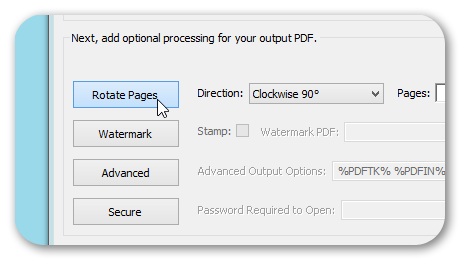 Use these next four options to rotate pages, watermark or stamp pages, or secure your PDF. 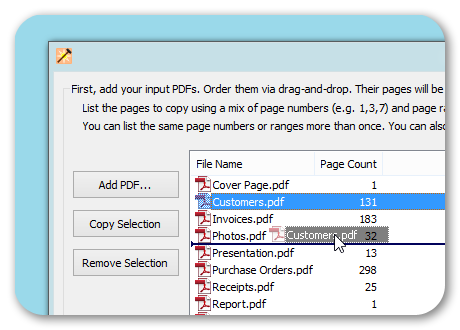 These operations are performed on the single, merged PDF created above. 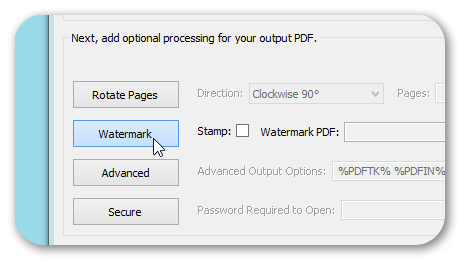 When applying more than one of these options, they will be applied in the top-to-bottom order shown: rotate, watermark/stamp, 'advanced' and then secure. 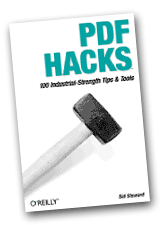 Some PDFs, like scans, don't let watermarks show through from behind. When this happens, try using the stamp check box. 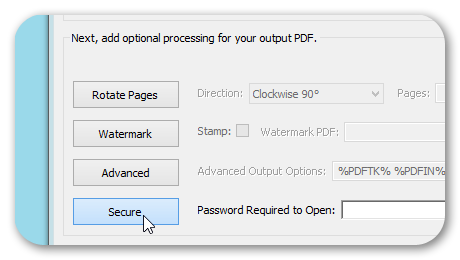 To apply security passwords to your PDF, click the Secure button. There are two passwords you can enter, and you can supply one or both of these. If you enter a Password Required to Open the PDF, then the PDF can't be opened unless the user has this password. 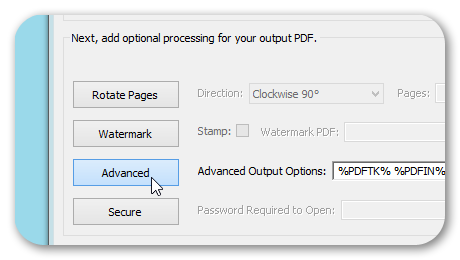 If you enter a Password Required to Remove Security, then many PDF operations will be prohibited, including: printing, assembly, copying or changing the document. Please contact us with any questions, comments or bug reports. Thank you!